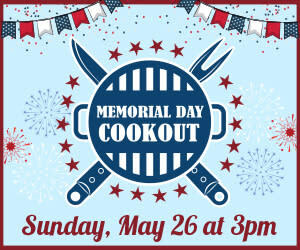 Rosemont’s Parkway Bank Park entertainment district will celebrate the summer season with the return of its Memorial Day Cookout Sunday, May 26 beginning at 3 p.m. At 3:30 p.m., rock tribute band “Infinity” will take the stage followed by Beatles tribute band “Kaleidoscope Eyes” at 7 p.m. After the concert, a firework show will culminate the festivities. Food and drink items from Parkway Bank Park restaurants will be available on-site. Outside food and coolers are prohibited. Parking is available at the Parkway Bank Park parking garage and is free with validation from any of the park’s venues.